A minimum of 80% Sangiovese plus Cabernet and Merlot. 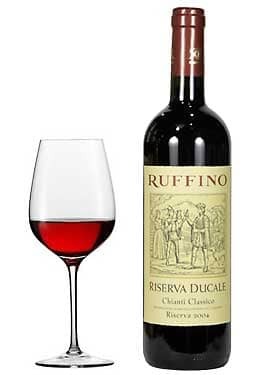 Taste Profile: Fruity, soothing, and well-balanced, the taste reveals velvety tannins and a enjoyable spicy sensation. The ageing in oak enriches the fruity core with hints of cacao and cloves. The long-lingering aftertaste adds intriguing notes of rosemary and figs.